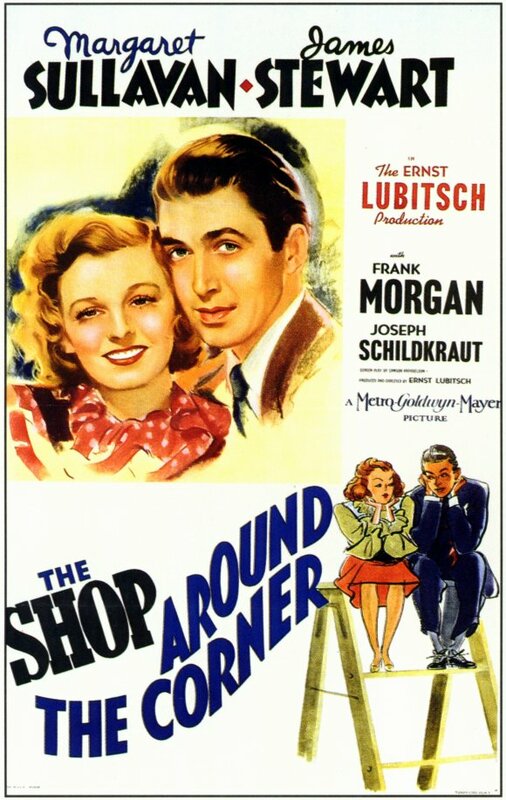 Alfred (James Stewart) has been working at Matuschek’s (Frank Morgan) shop for quite a while and is pretty much the shop’s star, though he is still waiting pretty desperately for a promotion.. For a while now, he’s been exchanging letters with an anonymous girl that he hopes to meet sometime. 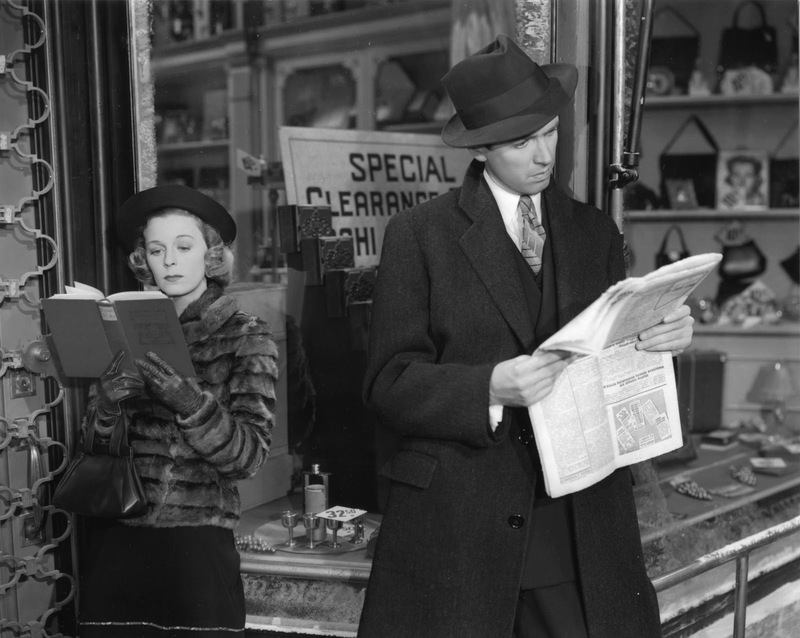 But instead he meets Klara (Margaret Sullavan) who is looking for a job. Despite Klara and Alfred basically instantly hating each other, Matuschek hires her and with that complicates all of their lives. Because neither of them realize at first that they are actually exchanging letters with each other. The Shop Around the Corner has its moments, but I had my problems with Alfred. I just really didn’t like him which makes huge chunks of the film and especially the ending difficult. The parts of the film I enjoyed the most all revolved around Pirovitch (Felix Bressart) and Matuschek. They were particularly well cast and I really liked them – even though they were a bit one-dimensional. But with the best supporting cast in the world, this movie can’t work unless you’re rooting for the leads. And I really couldn’t bring myself to root for Alfred. Especially not after he finds out who Klara is and doesn’t tell her who he is. I hate these deception thingies and that destroyed every chance I had of ever liking him. 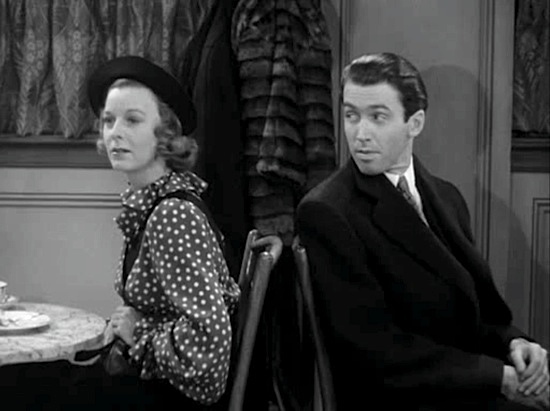 Despite my dislike of Alfred, James Stewart gives off a whole lot of charisma and I did like Klara and Margaret Sullavan’s performance as well. The script tends to be a bit heavy-handed, but the pacing is good and the movie does draw you in. I just wish that I had liked Alfred better – because then the movie would have worked for me. Summarising: Nice, but not my cup of tea. This entry was posted in movies and tagged 1940, Ernst Lubitsch, Felix Bressart, Frank Morgan, James Stewart, Joseph Schildkraut, Margaret Sullavan, Miklós László, Parfumerie, Samson Raphaelson, The Shop Around the Corner, William Tracy by kalafudra. Bookmark the permalink. Did you like “You’ve Got Mail”? It’s one of my all-time favourite “comfort” movies, and suffers from the same defect, although there certainly seem to be very good reasons there. It’s been years that I saw “You’ve Got Mail” but I thought it was pretty nice then. But I can’t really remember any details anymore. But if I remember correctly and as you point out, Tom Hanks does have his reasons to not let Meg Ryan know what’s what. In this one, I just didn’t get any proper motivation from Alfred. It just felt spiteful – and that made it a hundred times worse.